Like the caveman of yore, the modern man needs a space to call his own—a private sanctuary to watch the game, lose himself in a hobby, or hang out with friends. The man cave has been referred to as “the last bastion of masculinity,” and while most men wouldn’t mind if it were furnished with a big screen television and the futon they had in college, a man cave can be so much more sophisticated than that. 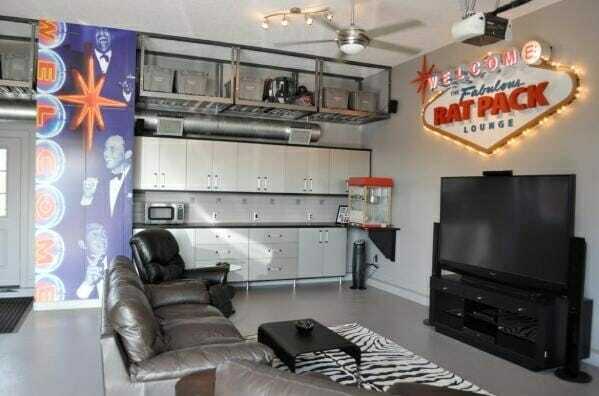 Any spare bedroom, basement, garage, or den can easily become a tricked-out man cave. But before diving into a man cave decor project, consider how the man in question likes to spend his time. Poring over books while enjoying a Scotch? Cheering on his favorite team with a group of friends? Binge-watching Netflix? The answer will heavily influence the direction you take. A man who likes to spend the weekend waxing his classic car might not be so impressed with a home theater system, no matter how awesome it is. Here are 9 ideas to get you started, taxidermied animals optional. Go dark. For the man who wants to spend his downtime reading with his feet up, focus on providing plenty of comfortable seating, like a classic leather chesterfield sofa. Leather is the material of choice when it comes to decorating a man cave, because it’s spill resistant, always in style, and ages beautifully. While dark walls might make your main living space feel claustrophobic, a small den is a great spot to experiment with a bold hue. Charcoal gray creates a refined ambiance, and the neutral walls are a great base for mixing in more colorful furnishings and an eclectic mix of decor. Music man. For a musician, a man cave for stashing equipment and instruments is a must-have. 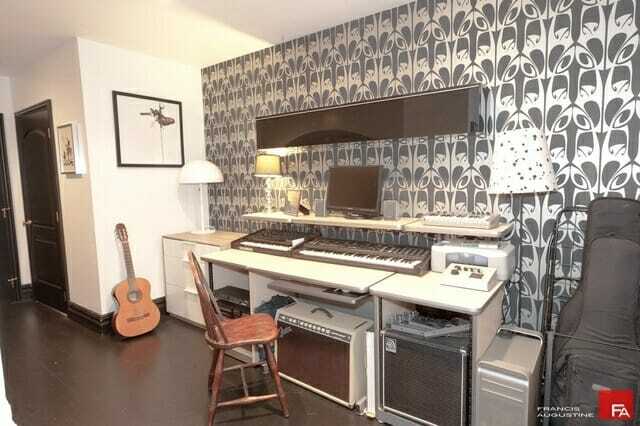 A large desk provides ample room for composing and recording. If the room can be sound-proofed to allow for all-night jam sessions without disturbing the home’s other occupants, even better. Hang instruments on the wall the same way you would a piece of art (they probably cost as much as one, anyway! ), but don’t forget to add in a few vintage band posters, as well. The classic. For a man cave that doubles as functional home office, you can’t go wrong with solid wood built-ins to house a personal library, well-worn leather chairs, and a spacious desk. A textured ceiling keeps the room from feeling too dark or heavy, and original art adds personality and color. Sports bar. 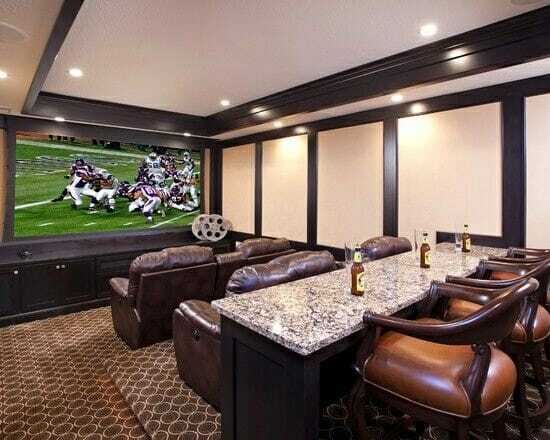 Any die-hard sports fan would love a sweet set-up for watching the big game with his buddies. Stadium-style seating ensures everyone has a great view, while a bar provides additional seating and a place to stash snacks for half-time. Enlist the help of blackout shades to keep window glare from interfering. Gone fishing. 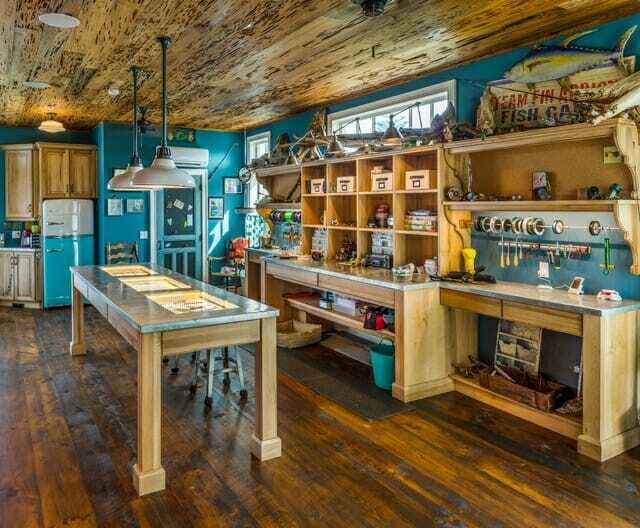 Recreational fishermen will appreciate having a dedicated man cave to tie lures and store tackle boxes. 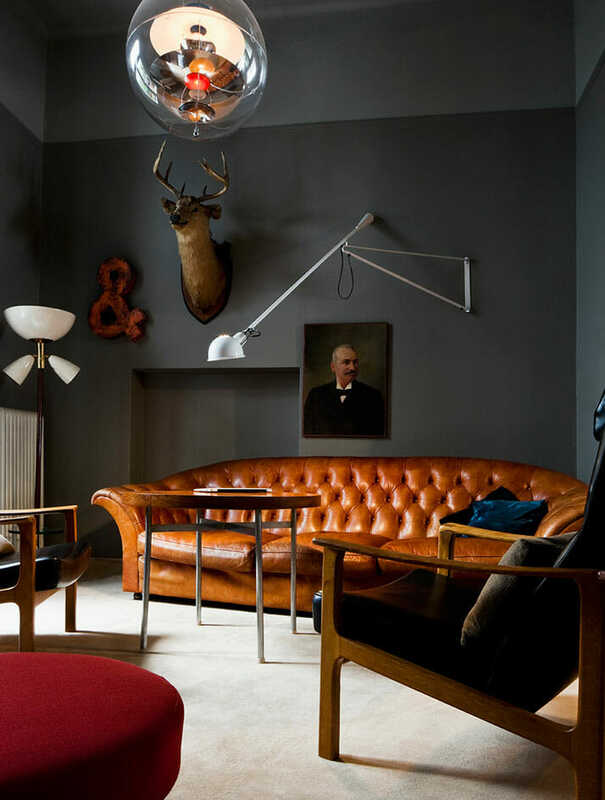 Complement the room’s purpose with vintage tin signs and taxidermied fish. It’s a room that would make Hemingway proud. Garage Talk. If space is at a premium inside, the garage can be co-opted to create a spacious man cave. Of course, he may prefer to leave it full of oil spots and car parts, but coating the floor with epoxy is a low-cost way to take the space from grimy to finished. Industrial cabinets and shelving provide ample storage for tools and the rest of his “toys.” A garage man cave is a great opportunity to take the fun decor a step further, with neon lights to set the tone for a playful room. On the rocks. For the man who enjoys entertaining friends, think “What would Don Draper do?” and add a well-stocked bar. You don’t need a bottle of every liquor known to man, but a few top shelf bottles and decent barware will certainly let friends know you take your nightcaps seriously. Heavy lifting. Who says a man cave has to be for sitting idly? 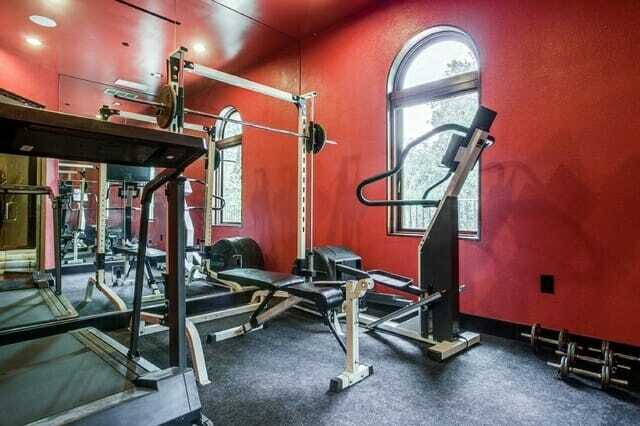 For the fitness-obsessed man, a home gym is better than any big screen TV. Choose a bright, energetic wall color. Rubber tiles are a solid choice for flooring in a room that’s likely to deal with dropped weights. 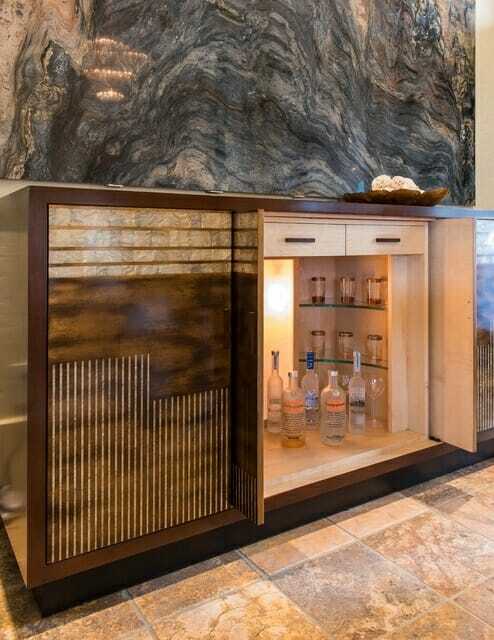 Don’t forget the mini-fridge for stashing bottled water and protein drinks. Game on. Platforms of the past won’t be forgotten in cubbies illuminated by under-cabinet lighting. 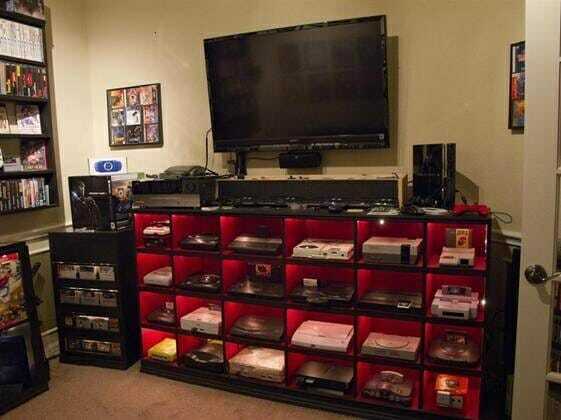 Controllers and games can be stashed nearby. For the gamer, a great sound system and mini-fridge stocked with energy drinks is non-negotiable.